In 1829, Archibald and Ann (Huey) Young came to America from Ireland in search of a new life. Archibald Young had been a wood worker, cabinet maker and carpenter in Ireland and continued that career in America. The couple eventually settled in Lancaster County. Their family grew to five sons and five daughters. Having such a large family to support, Archibald decided to open a saloon to subsidize his income. In 1856 their eldest son, James Young, blessed with good health and an abundance of energy and perseverance, left his family. With a bag of carpentry tools and $7.50 in his pocket, James settled in Cherokee County. There he tried his hand at carpentry and eventually started a fence company in which he did quite well considering the Civil War was going on. In 1869 he signaled for his brother, William Young, to help in a new business, a saw mill. James and William Young then began opening up saw mills from South Carolina to Ohio and everywhere in between. In every town they had their saw mill they opened up three saloons (Busch  Pabst  Schlitz). James and William’s idea was to let their laborers relax with a cold beer, hot spicy food, entertainment and dancing after a hard days work. 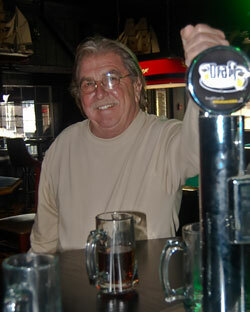 In 2011, Shawn O’ Brian’s Road House was established. James William Young, the current proprietor, named his establishment after his two sons, Shawn and Brian Young to keep the legend going. Today, Shawn O’ Brian’s Road House will continue to serve cold beer, good food and provide great entertainment as my ancestors have done since 1829.